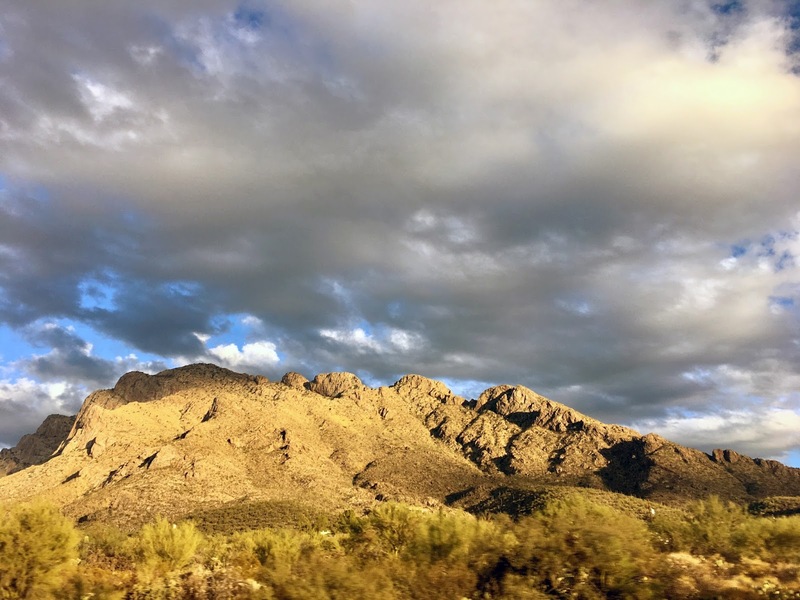 Did you know that looking at the Santa Catalina Mountains is considered a "thing to do" on the Tucson Guide's 62 Things To Do In Tucson list? They actually list it under SUNRISE and it says, "Sunsets are spectacular; sunrises are for meditative moods. Watch the Santa Catalinas as the first rays of light begin to play across the peaks and canyons. Turn away and look back a few minutes later and the whole scene will have changed—subtly, but beautifully. A good sunrise will set you up for the whole day." Guess I can cross that one off the list.